Hollie came to show me her super Maths work, where she had been using the grid method to multiply numbers. I was very impressed with her work. 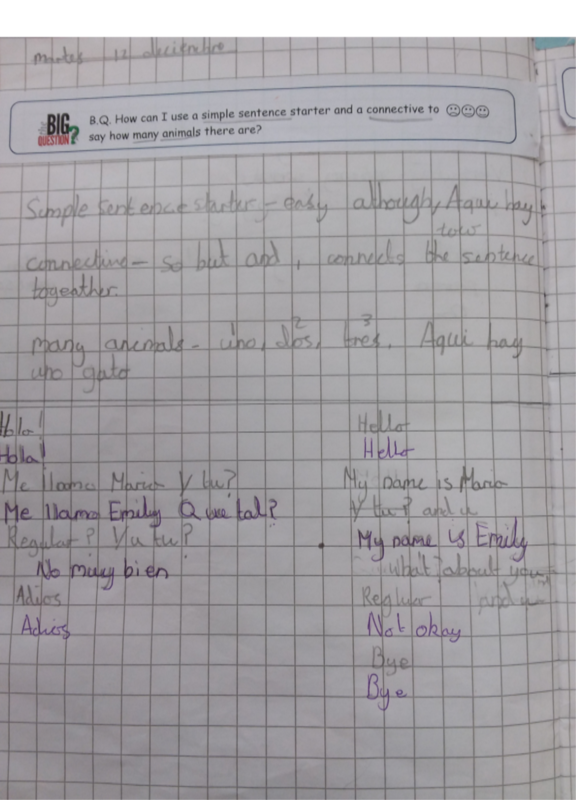 Maria and Elysia came to show me the Spanish conversations they had written. Mrs Smith was very impressed with how much they have learnt in just one term! Mr Haslam sent Leon to read me his fabulous description of a snowy scene, where he had used personification really effectively. Ella came to show me her impressive maths work. She told me how she used a ‘flip, change, save’ method to calculate multiplications with fractions. Well done Ella!